Omesan Nair, a Medical Biochemist, came to us with a dream to bridge the gap between laboratories and hospitals by using innovative technology to improve the test turnaround time for quicker and more efficient treatments. Conventional methods of quantifying biological assays make use of specific spectrophotometers that illuminate a sample in a microtiter plate and measure the absorbance of light at a specific wavelength produced by the sample. 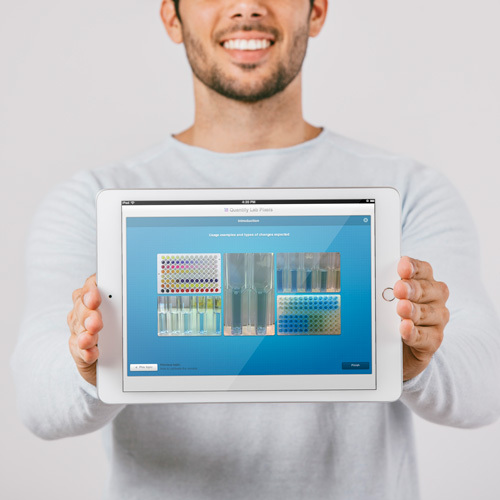 The core objective was to create an iPad application for colour quantification, just like that of a spectrophotometer, without the need for controlled light conditions. The development was preceded by collaboration between Biochemists and Engineers that led to robust, accurate and precise colour measurements. 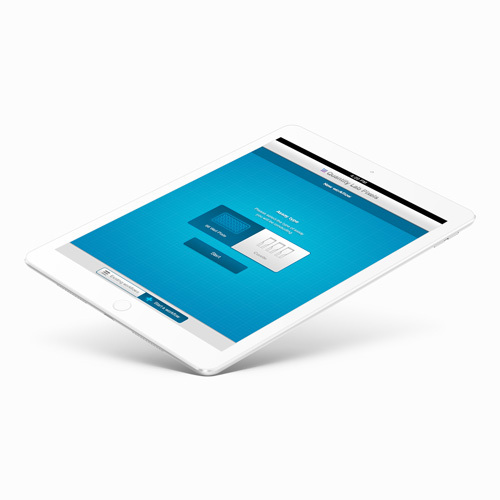 The application has the potential to perform the same function as laboratory grade spectrophotometers, plate readers and scanners by encompassing these three devices into one powerful iPad application. Specifications: data syncing to cloud storage; colour quantification algorithm; iOS Development; User Interface / User Experience Design; and R2, Processed and Raw Data Graph generation. 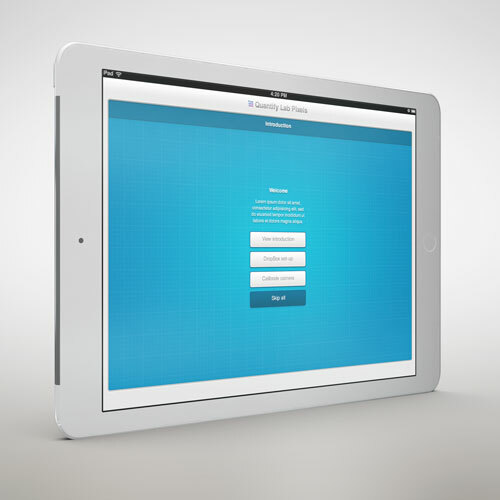 Our core objective throughout was to create an iPad application with three key components combined into one powerful application. We succeeded. The added value is its combination of technology and mobility to facilitate its use in the field, without the need for controlled light conditions. 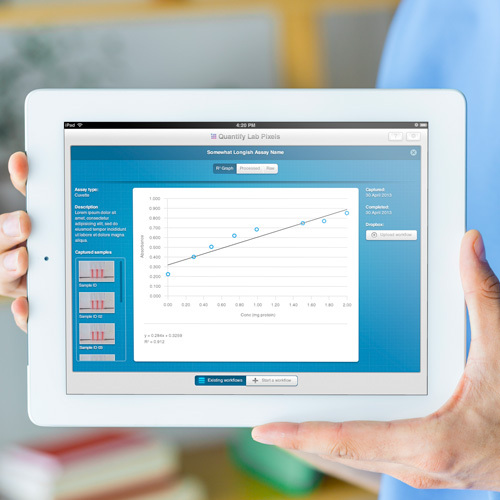 The current innovation describes the fabrication of mobile app software that has the same capabilities of a conventional spectrophotometer with the added benefits of mobility and data processing. Image processing considers ambient light conditions, making comparison of data points possible between different images and within the same image. This is important as conventional assays or experiments can be processed in multiplex formats for consistency in experimental conditions. The quantification algorithm is based on the principle of light back scatter and pixels can be assigned a value, considering the full colour image acquired from the iPad’s camera. Standardised White Balance and brightness can be automatically kept standardised throughout the quantification process, ultimately making inter-experimental variation very low (to the same extent as conventional laboratory spectrophotometers) and facilitating inter-experimental comparisons. 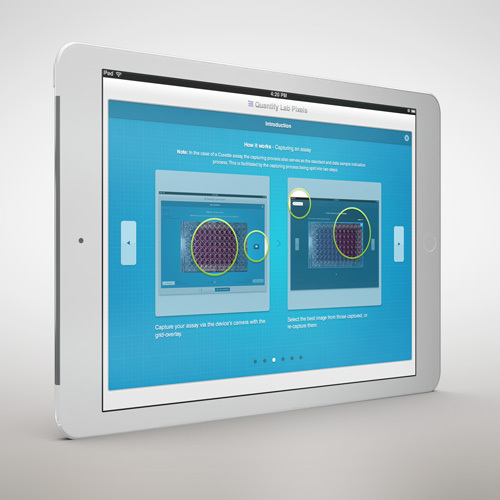 Quantified experiments: the app can quantify experiments performed in 96 well plates and in other formats such as cuvettes and other non-standardised formats, for example, growth cultures directly through the culture flask without the need for dilutions. 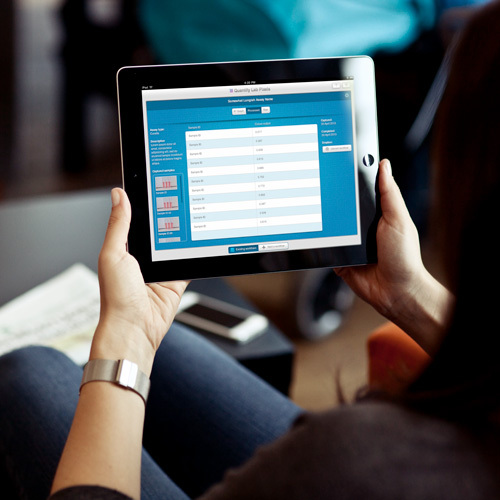 Data syncing to cloud storage: the application has the ability to perform the function of several devices and can synchronise data to cloud storage via Dropbox for tracking and monitoring. The South African Bureau of Standards is testing the Quantify Lab Pixels application for reproducibility and robustness. It will soon acquire international accreditation as a fully functional, colour quantification device comparable to that of bulky and expensive spectrophotometers. Uses of such assays are routine in the molecular biology, chemistry, food science, medical diagnostics and basic research fields. They are essential for drug discovery and the biological testing thereof, which includes quality control testing, monitoring and reproducibility testing. This could provide a means to bring the laboratory into the hospital, by the use of a mobile application with companion diagnostics.